Here is a short July 2013 Universal Studios Singapore Park Update to briefly cover some breaking news at the park. 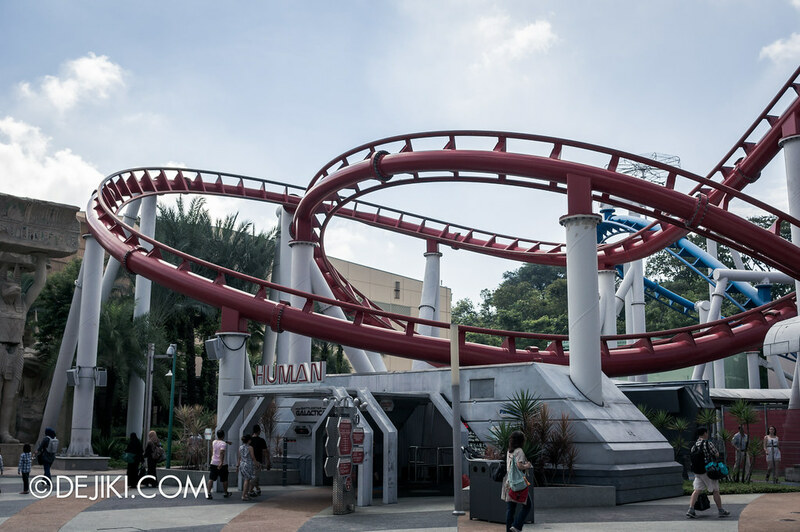 When I was having some major thrills at another theme park overseas, Universal Studios Singapore’s flagship Battlestar Galactica: Human vs Cylon has closed. Thanks to TongMing for first notifying me about this. An incident has happened at Battlestar Galactica attraction last weekend, on the HUMAN (red) track. The rollercoaster train slowed down and stalled at the banked helix element (before the turn towards the break run). There have been no reports of any injuries and fatalities for this incident. This is not the first time that an incident has happened at Battlestar Galactica, with the previous incident (causing a year of hiatus) also involving the HUMAN train back in 2010, mere days after the park’s soft opening day. The attraction has been operating since its reopening in February 2011. I have seen the train which was stuck at that track section and covered up. It does not look like the same problem as in 2010. Having taken the ride over 130+ times in the past three years, I have an inkling on what could have happened. However, given that this site is also referred by many as a park guide and somewhat definite source for all things USS, it would be best that I leave my speculation off the page for now. 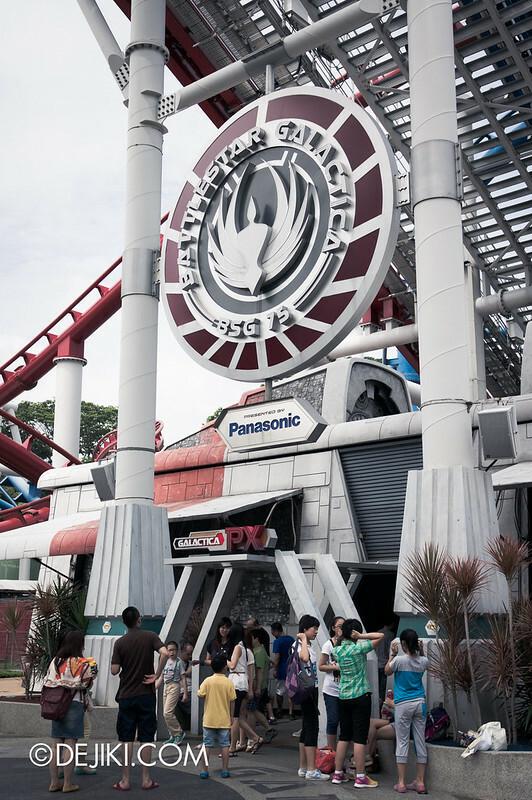 Universal Studios Singapore has yet to make a formal statement regarding incident and the ride, but as of last Sunday (21/07/2013), the entire attraction (both Human and Cylon) has closed for technical review. The official statement now is that “The Battlestar Galactica attraction is currently unavailable”. It is unclear when the ride will reopen, although I received word that a major overhaul is necessary. The attraction may not reopen until sometime in Early/Mid 2014, according to a source. I will update this post with official information from Resorts World Sentosa, when available. Finally! HHN3 will run from 7:00pm – 1:00am each night. Daytime hours of USS will be shortened, with the park closing at 5:30pm. Names unannounced, but should be placed at Hollywood, New York and Ancient Egypt/The Lost World. 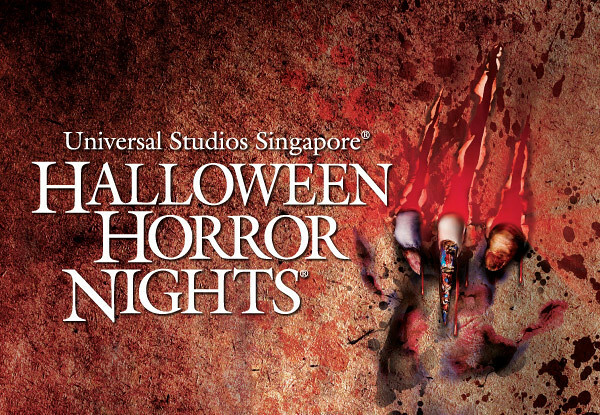 Halloween Horror Nights 3 – Full event info now available! Looking for Halloween Horror Nights 3 event information? Check out the Halloween Event Guide here! Get to know the event dates, hours, ticket prices and find out what’s in store at Halloween Horror Nights 3! The Photos around the park segment will take a break this time and will be back in the next update. Stalled. Funny if it had stalled midway through a 360degrees loop. Then again, technical faults are to be expected with all machineries. I see there’s a Technical Director position available at RWS recruitment page. Maybe somebody got fired and brought away knowledge with him on how to operate the machines smoothly. Hope they can get the ride moving again. Pity those who have travelled from afar to visit the park but only to find one attraction closed. Thank goodness for your blog, I will now not be going to USS tomorrow and waiting till things get back to normalcy before putting money into an Annual Pass. $88 only. Lucky you, student. Thank goodness I wasn’t impulsive in getting the adult $188 pass. Hope the closure doesn’t disappoint travellers from afar who have come especially for BSG. I emailed rws… They said BSG closure is part of annual maintenance. Dunno what cover up it is planning. But not being fair, surely, to the tourists who come from afar. Hope your blog is informative for thos intending to visit the park. Maybe USS should discount, since one ride is not available. RWS gave me the same reply that it is closed for annual maintenance, but have no idea how long it will take. Absolutely lame answer. How can a company not know how long its maintenance of a ride will last? Taking another year off to fix a problem? Disappointing. Dejiki if you know the problem please do tell me. I’m a frequent visitor to USS too and I’ve stopped going there since the staff who work at BSG (who recognise me) told me that the rides have stopped operating. Any idea what is being built behind Shrek’s Castle through to Waterworld ? A friend of mine who visited today reported that they seem to be building something quite large. A new family attraction will be built at that plot of land. The park has not announced anything yet but they are in the process of clearing the land to build the new show building. It could either be the long-rumoured Kung Fu Panda themed area and ride or perhaps a copy of the Despicable Me: Minion Mayhem attraction from the US Parks. OK thanks. I wondered if it might be the Simpsons/Springfield concept. zomg!!! i hope it is the Minion Mayhem attraction! that would be cool! Oh this is sad. I’ll be in Singapore next weekend (flying from the Philippines) and supposed to try this ride for the first time. I’ll be visiting USS very soon and I wanted to be there just before the park opens. I am looking for a nice and affordable place to have a breakfast near USS. I was originally planning to take USS’ star breakfast thingy( the one that let’s you in the park an hour earlier) but decided not to push through because of negative reviews. BTW, would you suggest it? or should I take breakfast in other places instead? if so, any suggestions? In my opinion, breakfast programmes are definitely nice ways to start a day at the park, but they are very expensive. Yes, you get to enter the park early, but for a small park like USS, it doesn’t bring much advantages. A lot of rides start only at 10AM sharp. However, you get to meet park characters during breakfast, and the entire park is empty. Both make excellent and rare photo opportunities. I would suggest having breakfast somewhere else, either around the resort area (BreadTalk, ToastBox, Starbucks, McDonalds – within 5 mins from USS park gates, they are all open from 8am; McDonalds is open 24hrs) or before entering Sentosa Island, at the malls (Vivocity or Harbourfront Centre). If that land as big as mummy or transformer site in USH and USF. They can build the minion. Traveled to Singapore just to ride these costers, how dissapointed i was to find them closed. Better to check before i make my next lot of travel plans.